Listen. Connect. Trust. 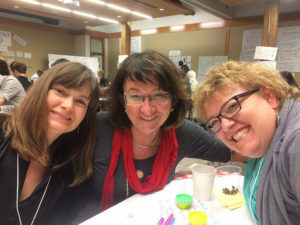 How do we elevate engagement for communities to thrive? How might a 20,000-circulation daily newspaper find tools and adopt practices for better engaging with existing and new audiences? At Elevate Engagement , Journalism That Matters board member (and Reynolds Journalism Institute fellow) Bill Densmore discussed the topic with nine fellow conference-goers over an hour — in groups of three each. You can listen to the discussion from here (or just click on the carat to the left of the bar below if it is showing). Do you have specific ideas for improving the way newsrooms connect with their audiences, listeners, viewers and citizens? What is the best way to move beyond the role of gatekeeper and into a role as facilitator, collaborator and information valet? Post your comments below! 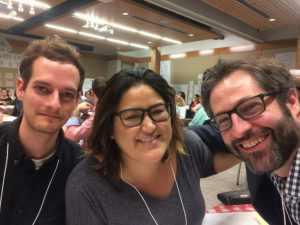 Christine Whitney-Sanchez, Innovation Parters International, Phoenix, Ariz.
Ashley Alvarado, manager, public engagemente, KPCC/Southern California Public Radio, Pasadena, Calif.
Todd Milbourn, instructor, journalism and businesss, Univ. of Oregon; former newspaper and TV reporter, Eugene, Ore.
Joy Mayer, consultant, strategics and trainer around news-industry engagement, Sarasota, Fla.
Is passion enough? Dealing with the financial realities of student debt and unwaged labor in journalism. The purpose of the session was to open up a space for people to discuss what’s usually a taboo topic in journalism: fair wages and how little journalism pays. Participants shared what brought them to the session and questions they were dealing with. Simon N. Worked in a college newsroom. Avoided working as a reporter on the hill because knew I had student debt. Risk adverse. Was never an option to just ‘do what I love.’ Doesn’t work in traditional journalism now, but has economic security. Such a taboo to talk about fact that journalism doesn’t pay. Spaces need to be created to talk about this. Simon G. -has lots of college/grad school debt. 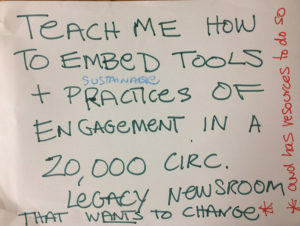 Wondering: what can we do moving forward actionable moments in changing paradigm of what journalism pays? Tough to get experience (internships) to get to a job when internships don’t pay very well. Have always wanted to start an intern rights org. Lisa- Teaches at UO J-school. As a journalism teacher I’m dealing with j school students every day who see this problem on the horizon. It’s tough, because students feel that they are signing up for a really difficult financial future. Other aspect, as a mid-career person, I think about my own path. I’ve got two kids, partner in media. Many years trying to balance passion/finance. Academia has provided a living wage. Making enough to not worry really helps. The journalism model has been disrupted, and there are all these opportunities, but they don’t pay well, if at all. Gracie- Citylab DC. Does social media for the site. Senior project in college was history, politics and intersection. Feels like she can’t speak out about fair wages without potentially feeling repercussions in her work. Simon- We need to talk about this issue, but it puts burden on people who are willing to actually put this topic out there and might be affected. Lisa – Prestige can get in the way of actually coming up with a plan that works. Simon – If you start conversation around Unionizing a media outlet, you can get labeled a troublemaker. Keegan – Notes that he is getting paid more from an international media outlet than in the US. We have to challenge the concept that there is not money in media. Call them out on that. Other Simon – working in community media you hear mainstream journalists say, we don’t have time to go cover something. Gannett has money, it’s just not going to the product, and reporters. 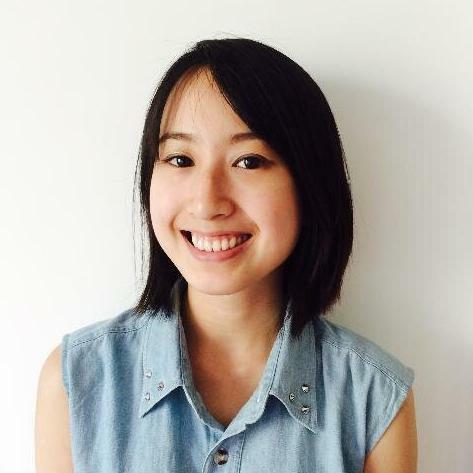 Yu- When Mother Jones fellows recently asked for (and successfully) received minimum wage, they argued that their work was crucial to the magazine. People recognize that journalism pays little and have *consciously* chosen to not pursue careers in journalism as a result. There needs to be more transparency about pay and spaces to talk about pay. We shouldn’t be demonizing PR.. and it’s okay to look for other sources of pay. Unions and labor movements are often portrayed by the media as agitators—is there a way to change how they are covered so that it’s not so antagonistic? Our conversation just scratched the surface, and we need to keep it going! Connect with Facebook or Twitter by clicking a button above. Enter any tags in the "Tag it" box. 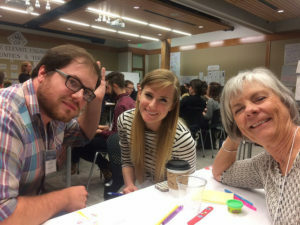 How might newsrooms/journalists have ongoing conversations and engagement with communities independent of story projects? What resources might be needed? How do newsrooms measure loyalty?